Ephesians 2:12 says the Ephesians at one time had no hope when they were without God. One person wrote life without Christ is a hopeless end, but life with Christ is an endless hope. Paul speaks about the hope that God’s people have. Let’s look at that Hope. I encourage you today to be open to any and all spiritual resources provided for us by our God. Second, we have the hope of serving a God who has amazing power. Ephesians 3:20 refers to a God who can do more than we can ever comprehend or imagine. Life can be difficult at times, but we are never left helpless and alone. Psalm 46:1 is a verse that is always great to hold onto. It says God is our Refuge and Strength, a very present Help in time of trouble. During the tough times, our God is not only present, He is there in an extra special way because we are special to Him. Third, we have hope of being able to minister to others. Ephesians 4:11 lists those with gifts for leadership in the Church. I used to read Ephesians 4:12 as the three fold purpose why of the gifts were given to those in leadership. They were to develop the people in the Church, they were to do the work of the ministry which could include doing as many tasks in the Church as humanly possible, and to do the bulk of encouraging those in the Church. I discovered my interpretation was completely wrong according to the model spoken of in the early days of the Church. Acts 6:2 records that all of those in the Body of Christ had a part in helping the Church to be more effective and efficient. Those in leadership are to assist in the development of the people in the Church, but then those people are to use their gifts to minister. We find that each of us have some type of ministry. Those that are not in the Leadership Offices of the Church must never feel that they have no ministry. When ministry opportunities come your way, reach out with the gifts and anointing that God has given you to touch lives who are in need. Praise God today that Hope is still alive and well. A hope of receiving beautiful and essential spiritual gifts; a hope of having a God who has the power to do anything; a hope of being able to be involved in ministry. Rev. 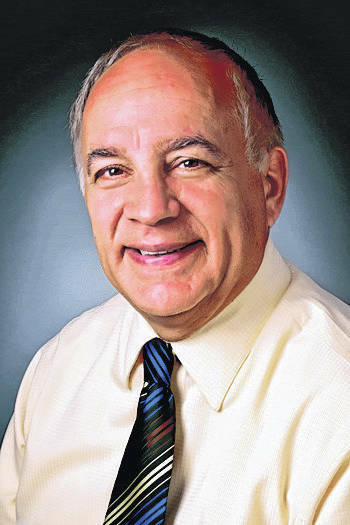 Ron Swiger is Greene Memorial Hospital Chaplain and guest columnist.